Apple has been to promote its iPhone SE is the most cost-effective (relatively speaking) phone ever, just the small size of the screen, but with powerful hardware, most importantly, its price is very cheap, but cheap stuff always exist some quality flaws. Variety of issues exposed after people got their iPhone SE. Such as the bluetooth signal surprisingly poor when in a phone call, the issue still exist even restarting the iPhone, although Apple’s officially recognized the problem, but did not make any fix until now, we do not know whether it is caused by hardware or software fault. And another serious issue is that most people have reported iPhone SE screen yellow tint, this should be a hardware problem. However, this does not end, recently, some users reported that their iPhone SE power button becomes quite loose after a period of use, over time, more and more users reflect the problem, it seems that this time to save costs and improve margins Apple launches some “defective products”. this is obviously a serious quality defects, affecting the user experience. Apple did not give a positive response to this, but rather that wait for three working days to reply, but after three days contact is still this argument, it is clear that perfunctory consumers. For now, the Power Button rattle issue seems to be more present in the first batch of iPhone SE, and the previous iPhone 5S / 6 / 6S also encountered a similar phenomenon, which might be a quality control issue. Apple should make improvements in the next batch. Previous article3K Jailbreak Tool for iOS 9.3.2, 9.3.1 and 9.3, Fake or True? 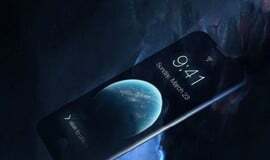 Next articleiPhone 7 Edge Concept: Curved Display Will be the Trend?